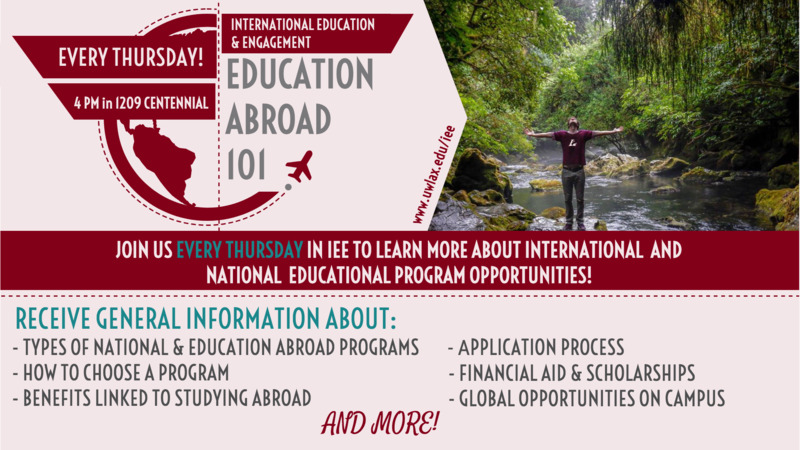 Join us for an Education Abroad 101 session today and learn about the many reasons why students should consider education abroad as a life changing opportunity! You will gain cultural competence skills that will transfer to your personal and professional life. It will help your resume stand out when applying for jobs. It improves your communication skills. You will improve your secondary language skills. Places the world at your fingertips; travel and experience different cultures and customs. Allows for independence and ability to gain self-confidence. To request disability accommodations (accessible seating, interpreting, closed captioning, FM systems, etc. ), contact International Education & Engagement at international@uwlax.edu or 608.785.8016.